Mariah Carey's crooning holiday tunes may already be on repeat, but if you're not rocking a solid pair of wireless headphones, her range could get dropped like your Bluetooth connection. When Apple unveiled the iPhone 7, it effectively killed the headphone jack. People were outraged, but it's not all bad -- there are a lot of solid wireless headphones on the market. Plus, you'll never have to untangle another wire. Here our our recommendations for how to listen whether you're working, sweating or commuting. Sometimes you just need to tune everything out. And Bose is the most popular manufacturer of over-ear headphones that stifle noise and deliver clear, high-quality sound. With 20 hours of battery life, the completely wireless Bluetooth headphones can last for more than two cross-country flights. The Bose Connect app also makes it easy to switch between devices, so you can take calls on your phone, and go back to listening to music from your laptop. The $350 headphones come in black, silver and a limited edition blue. 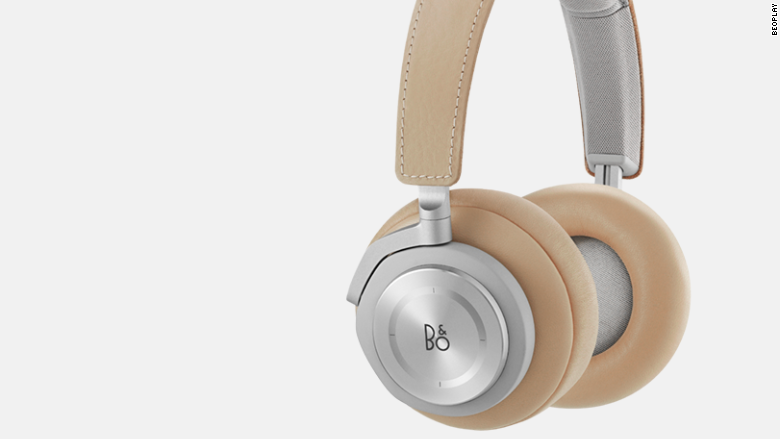 The $400 Beoplay H7 premium over-ear headphones have up to 20 hours of battery life on one interchangeable and rechargeable battery. The most expensive product on our list comes with touch controls on the right cup to modify audio, switch tracks, and accept phone calls. With a fashionable design and adaptive memory foam lambskin ear cushions, the Beoplay H7 headphones are as attractive as they are functional. 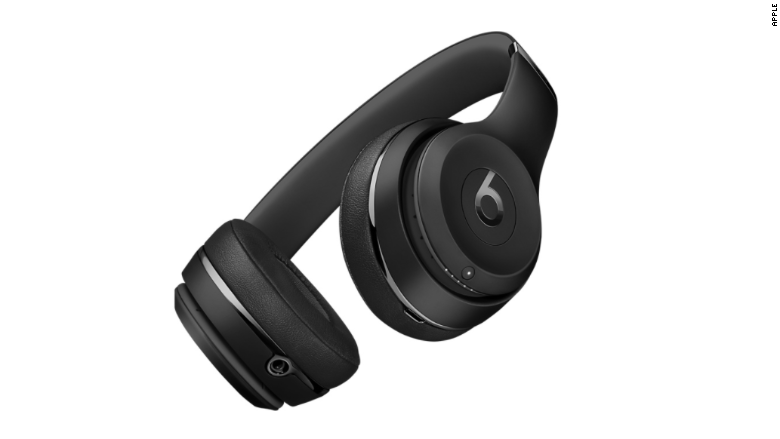 The bestselling Beats on-ear headphones got a hardware upgrade with the Beats Solo3. The new wireless cans from the Apple-owned company come with the new wireless communications W1 chip, which Apple (AAPL) debuted alongside its AirPods this fall. (The company then delayed the launch of the Airpods, which will cost $159 when finally available.) The chip makes it easy to pair the headphones to Apple devices, and it syncs with your iCloud account so you can switch between an iPhone, iPad or Mac -- and never lose the music. You can still listen to your tunes if you're 100 feet away from your phone, compared to just 25 feet with other Bluetooth headphones. Battery life is also improved with this model, with up to 40 hours of power. You can grab a pair in one of eight different colors for $299. 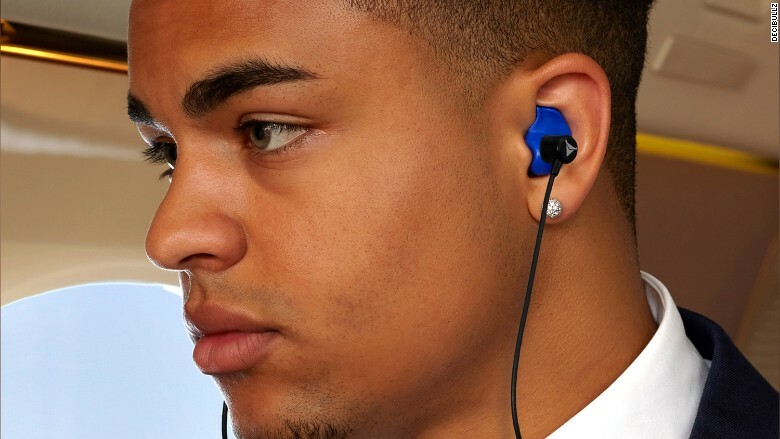 Decibullz may be a solution for those who have trouble getting ear buds to stay put. The Bluetooth earphones are customized to fit comfortably and isolate your tunes -- with a little hot water, you can mold the stability cuff inside your ear for a snug fit that stays put for the life of the headphones. Battery life is a drawback at just over three hours. The $120 earphones are sweat-proof and available in five colors. Athletes are all too familiar with the headphone struggle -- from finding ones that stay in your ears while running to dealing with the constant untangling of wires. 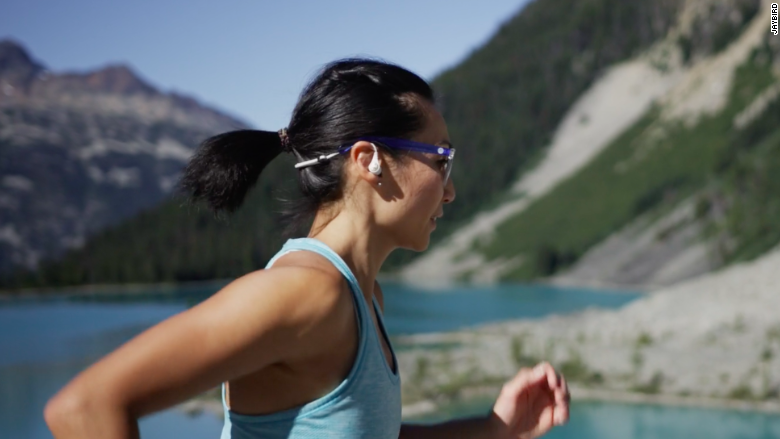 The Jaybird X3 are sweat-proof headphones that promise eight hours of battery life and high-quality sound. The sealed components keep out all the rain, sweat, and mud you might drum up on outdoor adventures. More slender than the Jaybird X2, the buds fit snugly inside your ear, and come with removable fins to keep them secure. These sport headphones come in black or white for $130. 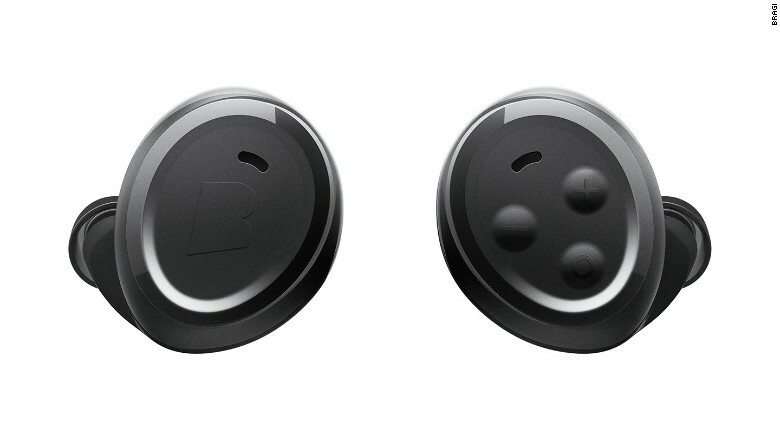 Bragi's Dash earbuds tried to do too much with fitness tracking and gesture controls. But its new completely wireless earbuds -- called Headphone -- simply stream audio, take calls and control your personal assistant. Headphones also feature noise isolation and can last through six hours of play time. You can get them for $149.